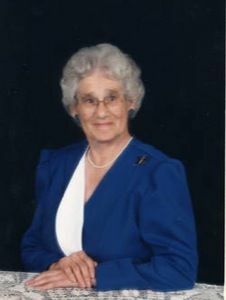 Mrs. Catherine Smith Brinkley, age 86 of 433 Taylor's Creek Road, Teachey, died Wednesday, July 1, 2009 at the Brian Center in Teachey, NC. Graveside services will be held at 2:00 pm Sunday July 5, 2009 at Rockfish Memorial Cemetery conducted by Rev. Mark Rogers. She is survived by one daughter, Mrs. Faye Nielsen and husband Dan of Irving, Texas; two sons, Jimmy Brinkley and wife Kay of Wallace, Donald Brinkley of Teachey; three grandsons, Christopher Brinkley of Charlotte, Kevin Brinkley of Magnolia, Jason Brinkley and wife Jennifer of Monroe, GA.; two great-grandsons, Cameron Brinkley of Monroe, GA., Shane Brinkley of Monroe, GA.; two brothers, Benjamin Smith and wife Betty of Lynchburg, VA., and Walter C. Smith, Jr., of Columbia, SC. A native of Duplin County, Mrs. Brinkley was the daughter of the late Walter C. Smith, Sr., and Ella Mae Drew. She is predeceased by her husband, Luther Brinkley and one brother, Eugene Smith. The family will receive at Padgett Funeral Home from 1:00 to 2:00 pm Sunday and at their residence, 114 West Westbrook Street, Wallace, other times. Padgett Funeral Home and Cremation Service.